The Solarplus variable grill heats up in just 15 seconds, so there’s no waiting around to start cooking. Whether you want to make cheese on toast for a quick snack or you’re cooking fish for a healthy dinner, you can get grilling in next to no time. Set the grill to full or half width depending on how much you want to cook, so you don’t waste energy if you’re only grilling small portions. The catalytic liners in this Cannon CH60EKK 60 cm Electric Cooker make cleaning effortless. 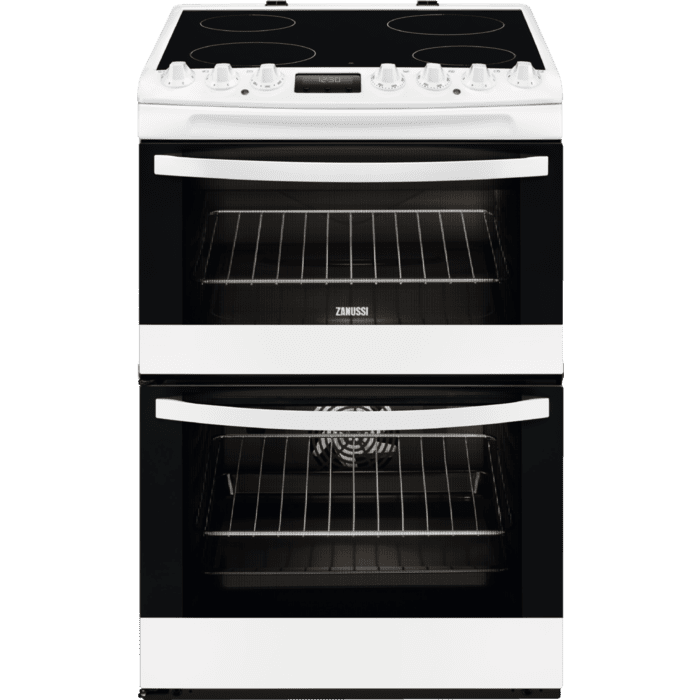 Designed to start breaking down dirt once the oven reaches 200°C, grease and fat are oxidised so you don’t have to spend time manually scrubbing your cooker. 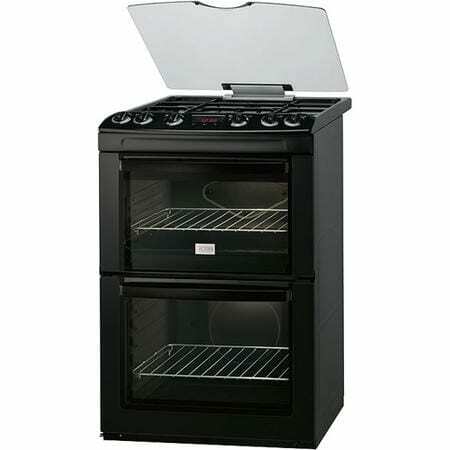 The main oven is fan assisted, meaning that all areas of the cavity are heated evenly. Fan assisted cooking also means that you can make multiple dishes at one time without the risk of flavours mingling. 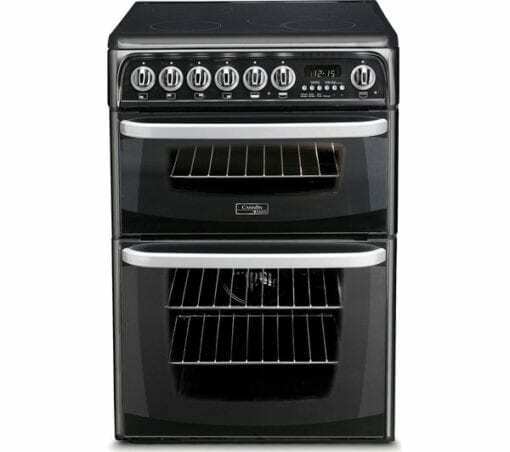 This is perfect for cooking the Sunday roast – finish the meat at the top of the oven while dessert bakes in the bottom. 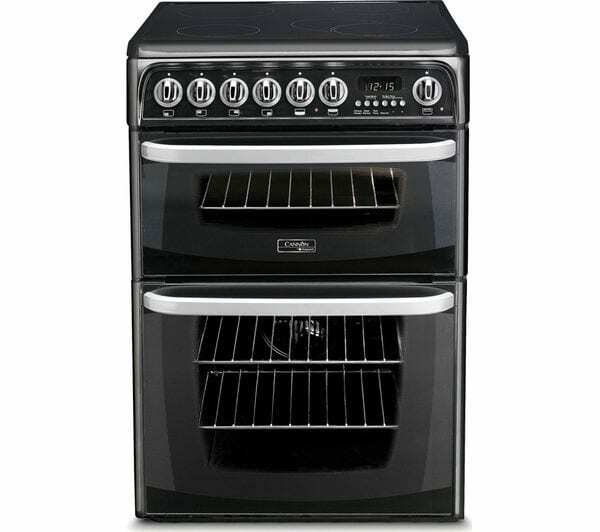 The large capacity is perfect for creating big family dinners, or making lots of smaller dishes for a party. 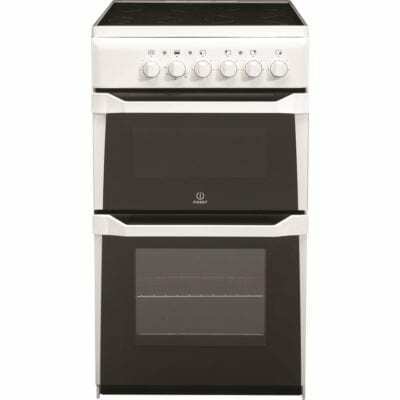 With 110 litres across two ovens, you’ll have all the space you need to cook up a feast. Perfect for family homes, this Cannon cooker has the safety features needed to avoid accidents. Residual heat indicators light up to alert you when the hob is still hot, protecting you from accidentally placing items on top of the area. The knob deflectors protect the control dials from the heat of the hob, helping to avoid any damage. Not only will this keep your cooker looking newer for longer, but you can also be confident that it will remain in good working order.